WASHINGTON — After months of delay, the Trump administration is finalizing plans to revamp the nation’s military command for defensive and offensive cyber operations in hopes of intensifying America’s ability to wage cyberwar against the Islamic State group and other foes, according to U.S. officials. Under the plans, U.S. Cyber Command would eventually be split off from the intelligence-focused National Security Agency. Details are still being worked out, but officials say they expect a decision and announcement in the coming weeks. The officials weren’t authorized to speak publicly on the matter so requested anonymity. The goal, they said, is to give U.S. Cyber Command more autonomy, freeing it from any constraints that stem from working alongside the NSA, which is responsible for monitoring and collecting telephone, internet and other intelligence data from around the world — a responsibility that can sometimes clash with military operations against enemy forces. Making cyber an independent military command will put the fight in digital space on the same footing as more traditional realms of battle on land, in the air, at sea and in space. The move reflects the escalating threat of cyberattacks and intrusions from other nation states, terrorist groups and hackers, and comes as the U.S. faces ever-widening fears about Russian hacking following Moscow’s efforts to meddle in the 2016 American election. The U.S. has long operated quietly in cyberspace, using it to collect information, disrupt enemy networks and aid conventional military missions. But as other nations and foes expand their use of cyberspying and attacks, the U.S. is determined to improve its ability to incorporate cyber operations into its everyday warfighting. Experts said the command will need time to find its footing. He added, however, that over time, the U.S. has increasingly used cyber as a tactical weapon, bolstering the argument for separating it from the NSA. The two highly secretive organizations, based at Fort Meade, Maryland, have been under the same four-star commander since Cyber Command’s creation in 2009. But the Defense Department has been agitating for a separation, perceiving the NSA and intelligence community as resistant to more aggressive cyberwarfare, particularly after the Islamic State’s transformation in recent years from an obscure insurgent force into an organization holding significant territory across Iraq and Syria and with a worldwide recruiting network. While the military wanted to attack IS networks, intelligence objectives prioritized gathering information from them, according to U.S. officials familiar with the debate. They weren’t authorized to discuss internal deliberations publicly and requested anonymity. Then-Defense Secretary Ash Carter sent a plan to President Barack Obama last year to make Cyber Command an independent military headquarters and break it away from the NSA, believing that the agency’s desire to collect intelligence was at times preventing the military from eliminating IS’ ability to raise money, inspire attacks and command its widely dispersed network of fighters. Carter, at the time, also pushed for the ouster of Adm. Mike Rogers, who still heads both bodies. The Pentagon, he warned, was losing the war in the cyber domain, focusing on cyberthreats from nations such as Iran, Russia and China, rather than on countering the communications and propaganda campaigns of internet-savvy insurgents. Officials also grew alarmed by the growing number of cyberattacks against the U.S. government, including several serious, high-level Defense Department breaches that occurred under Rogers’ watch. After President Donald Trump’s inauguration, officials said Defense Secretary Jim Mattis endorsed much of the plan. But debate over details has dragged on for months. It’s unclear how fast the Cyber Command will break off on its own. Some officials believe the new command isn’t battle-ready, given its current reliance on the NSA’s expertise, staff and equipment. That effort will require the department to continue to attract and retain cyber experts. Cyber Command was created in 2009 by the Obama administration to address threats of cyber espionage and other attacks. It was set up as a sub-unit under U.S. Strategic Command to coordinate the Pentagon’s ability to conduct cyberwarfare and to defend its own networks, including those that are used by combat forces in battle. Officials originally said the new cyber effort would likely involve hundreds, rather than thousands, of new employees. Since then, the command has grown to more than 700 military and civilian employees. The military services also have their own cyber units, with a goal of having 133 fully operational teams with as many as 6,200 personnel. Its proposed budget for next year is $647 million. Rogers told Congress in May that represents a 16 percent increase over this year’s budget to cover costs associated with building the cyber force, fighting IS and becoming an independent command. Under the new plan being forwarded by the Pentagon to the White House, officials said Army Lt. Gen. William Mayville would be nominated to lead Cyber Command. 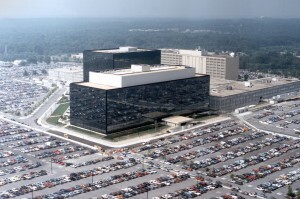 Leadership of the NSA could be turned over to a civilian. Mayville is currently the director of the military’s joint staff and has extensive experience as a combat-hardened commander. He deployed to both Iraq and Afghanistan, leading the 173rd Airborne Brigade when it made its assault into Iraq in March 2003 and later heading coalition operations in eastern Afghanistan.